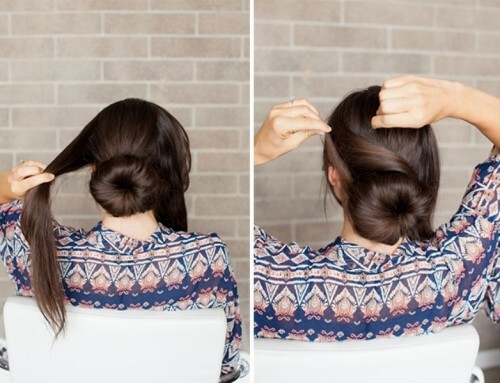 Everyone’s all about the sock bun hairdo lately. It’s not surprising, because it’s easy to make, it looks very neat and pretty. 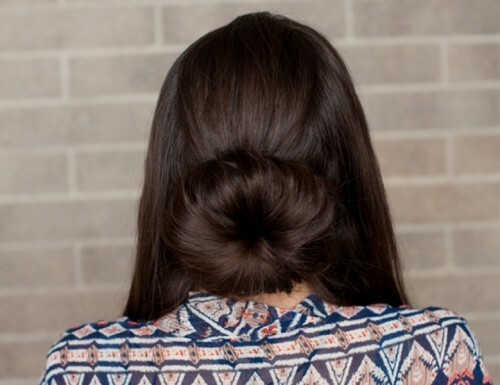 Today’s tutorial however is just the same sock bun but with a twist. 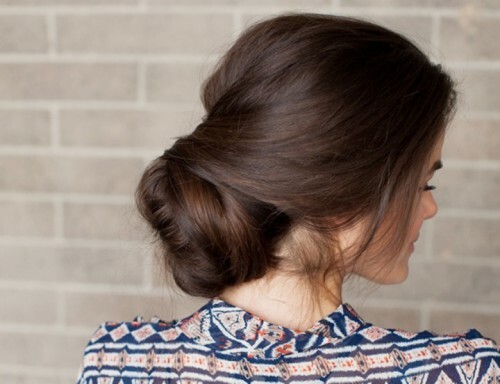 It’s low and has some added elements, which make the hairstyle a bit more romantic and a bit messy. 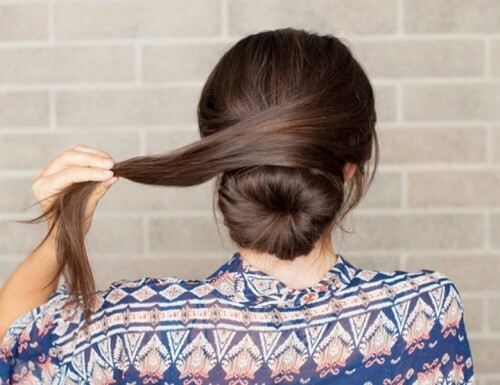 Begin with separating the hair into three sections. 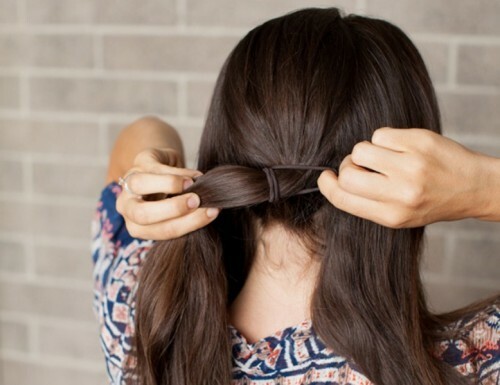 The hair from your front hairline to the back of your ear on each side, and the remaining section left in the back. 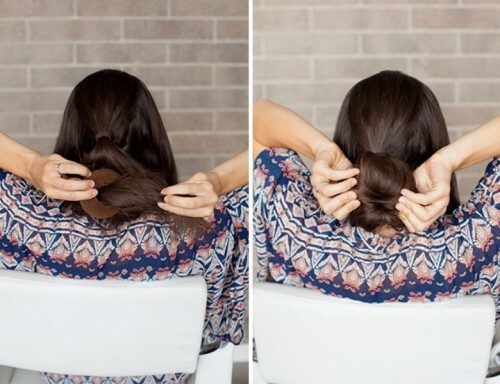 Place the back section into a ponytail. The remaining steps are just as simple, and you can read them at inspiredbythis.com. Enjoy!